A contactless sleep tracker which measures heart rate variability (HRV) to track athletic performance and recovery. Emfit is a technology company based in Finland that has been designing and manufacturing bio-sensors for decades in a range of different health applications. The company has a solid research history with nearly 100 published scientific research articles to their credit. 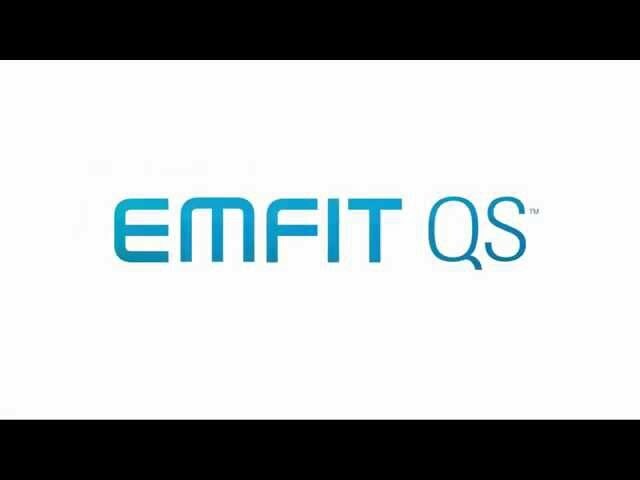 Emfit QS (Quantified Sleep) is the company’s first foray into the consumer sleep tracking world. It’s a sophisticated in-bed contactless sleep monitoring solution that’s ideal for general sleep analysis. But the QS also offers a feature set of highly detailed sleep metrics geared towards athletes, Cross-Fitters, and professional sportsmen/women. 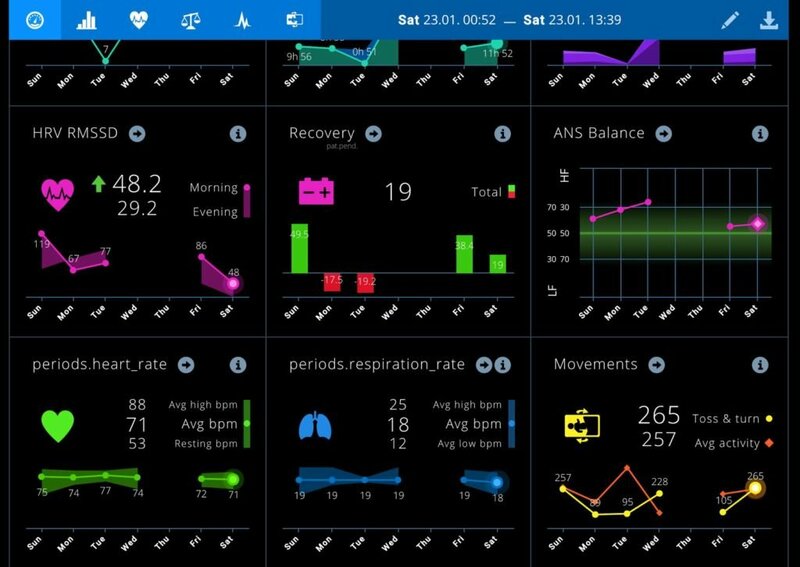 As well as more common metrics such as movement, breathing, heart-rate and sleep stage classification, Emfit QS can also track and measure heart rate variability, recovery, and stress levels, all of which can be viewed by the accompanying web application. 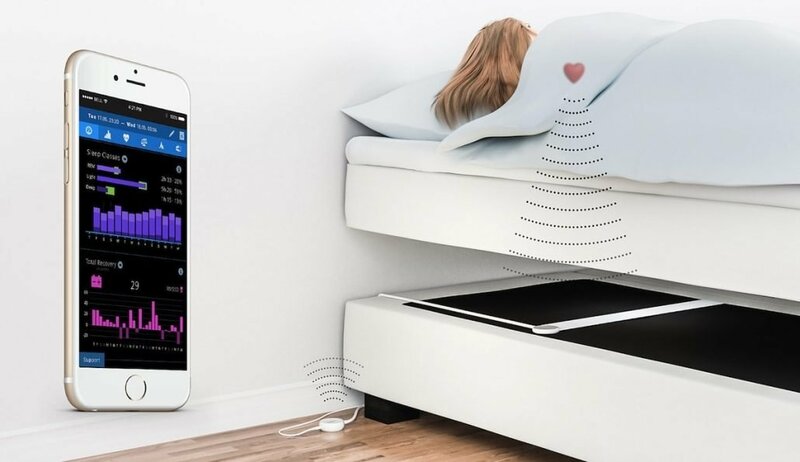 Similar to the Withings Aura, Emfit QS uses a technique known as ballistocardiography, with its bio-sensors housed in a thin strip which you place under your mattress or mattress topper. Sleep tracking is completely autonomous; just lie down on the bed and the device will start recording your body metrics. In it’s simplest explanation, HRV is a measure of the gaps between your heart-beats. Somewhat counter-intuitively, good health is indicated not by low HRV, but by a high amount of variability. High HRV indicates that your parasympathetic response, the side of the autonomic nervous system that promotes relaxation, digestion, sleep, and recovery is functioning well. Heart specialists have used HRV for decades as a metric to track and monitor the health and recovery of their patients. But recently HRV has become very popular in the world of sport, fitness and athletics as a way to track rest and recovery periods after exercise, to figure out optimal training and competition periods, and to avoid overtraining. The Emfit QS sports a sleek design, and comes in a choice of black or white to match your aesthetic. A 1.8 metre cord attaches to the sensor strip so that that any Wifi signals radiating from the device can be positioned far from your bed. 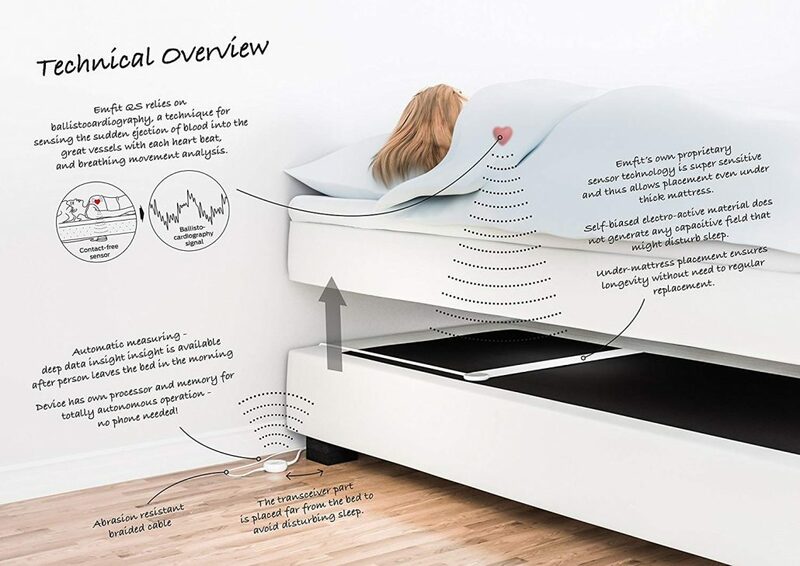 The sensor has been calibrated to work in a single bed or with a partner, although the manufacturer advises in the latter case to position the strip as close to your side of the bed as possible. Unlike many other sleep monitoring solutions, Emfit QS doesn’t require you to pair your phone in order to function. Instead the device connects directly to your home Wifi where you can instantly access your sleep data via the web platform. Once safely installed in your bed, you can set and forget. Sleep tracking is completely autonomous, simply lie down and the Emfit QS starts working as soon as it senses your body on the sensor. Rather than building apps for your smartphone, the Emfit platform works as a desktop/mobile friendly web app that can be loaded in any modern web browswer. The dashboard display is impressive in its comprehensiveness, giving you instant readouts of heat rate, respiration, movement, HRV RMSSD (Root Mean Square of Successive Differences) – a widely accepted measure of your parasympathetic nervous system activity, the “rest-and-digest” or “feed and breed” systems that occur when the body is at rest. You can drill down into each metric on the dashboard to reveal even more depth or discover trends in the timeline view. You also get an obligatory sleep score based on a combination of all your metrics. Data can be exported via CSV format and there’s also an option for ‘team’ sharing, whereby you can let your coach or fellow athletes view your data. 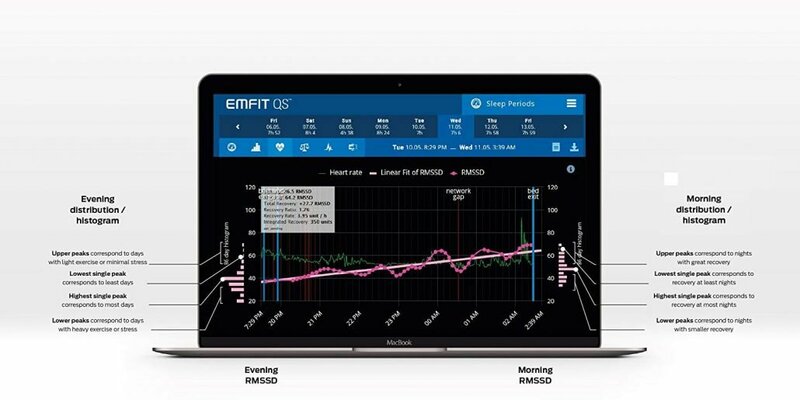 Overall, the Emfit QS provides highly detailed sleep analysis for those who want to find out more about their sleep health, and their overall cardiovascular fitness and recovery.